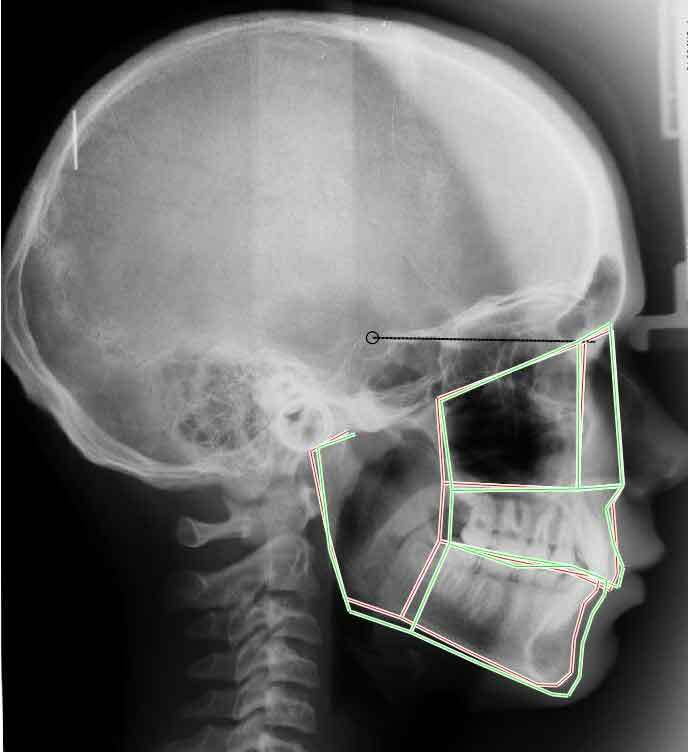 Endooral views at 8 months. 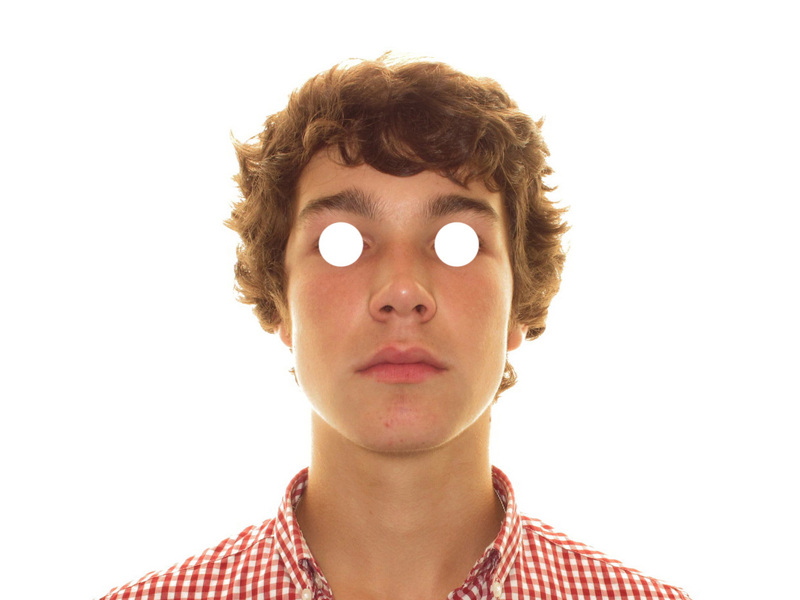 Class I has been achieved. 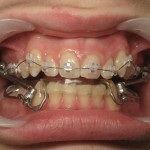 Maxillary levelling has begun while the extrusion of the lateral segments will be managed by Optimax Lab worn at night. 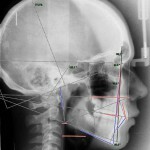 Endooral views at 8 months. 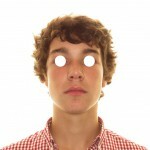 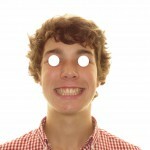 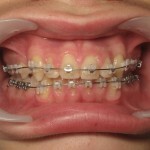 The optimizer is worn in the evening and at night. 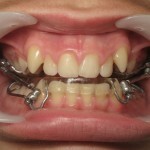 Optimax Lab and a multibracket appliance can be worn together. 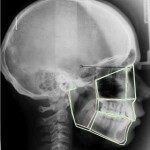 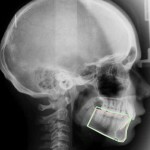 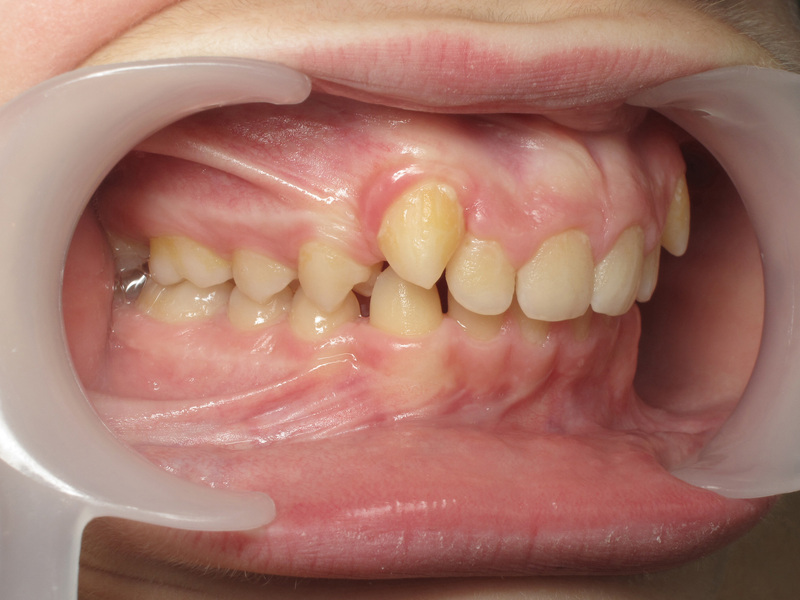 At 1 year, the mandibular arch is loaded. 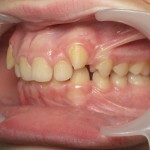 Optimax Lab is discontinued. 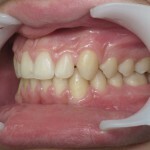 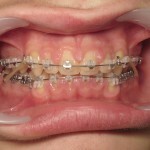 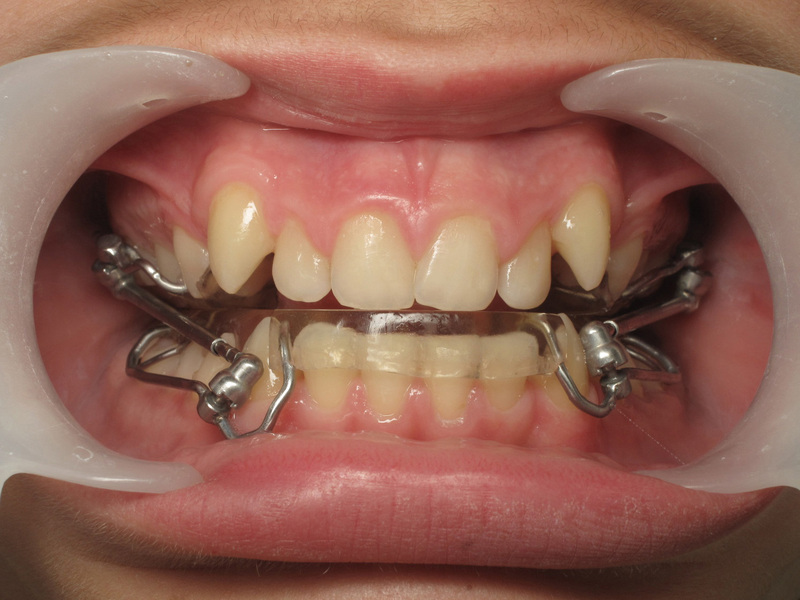 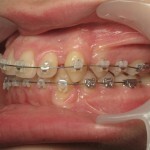 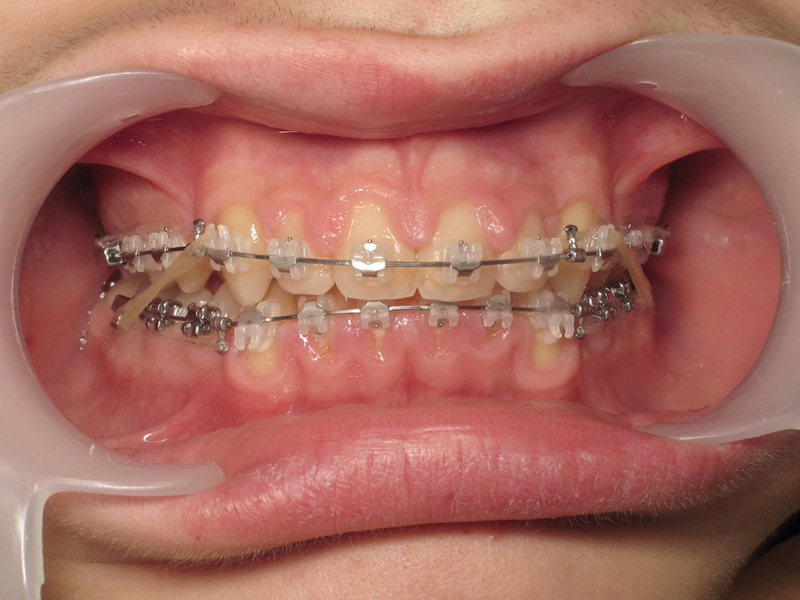 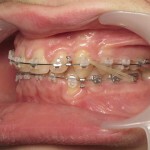 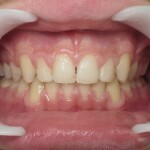 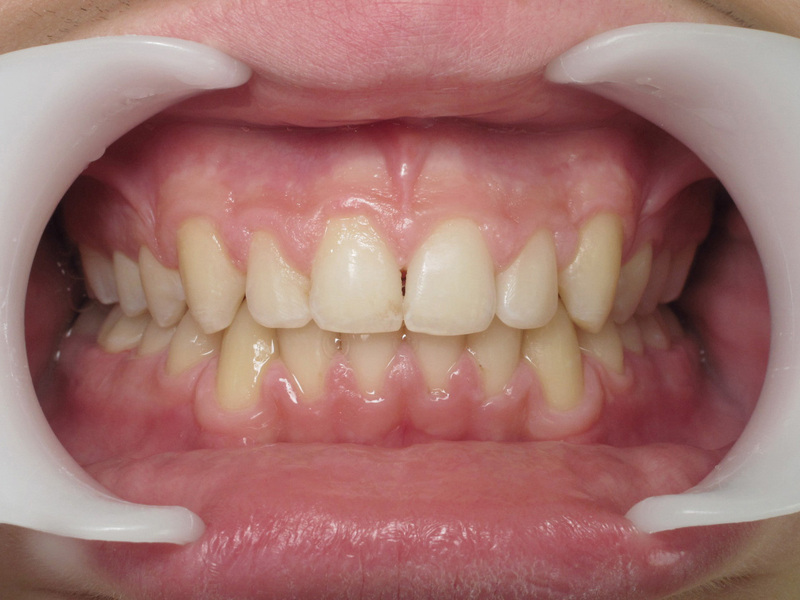 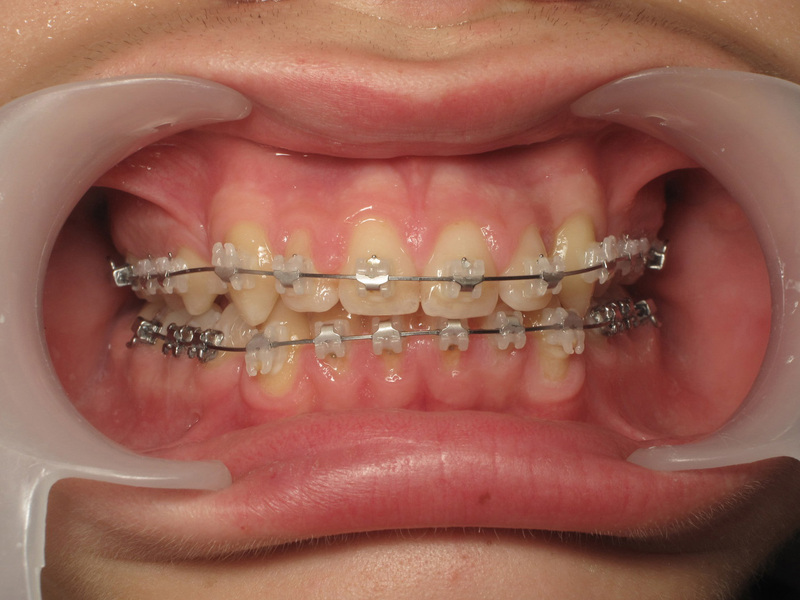 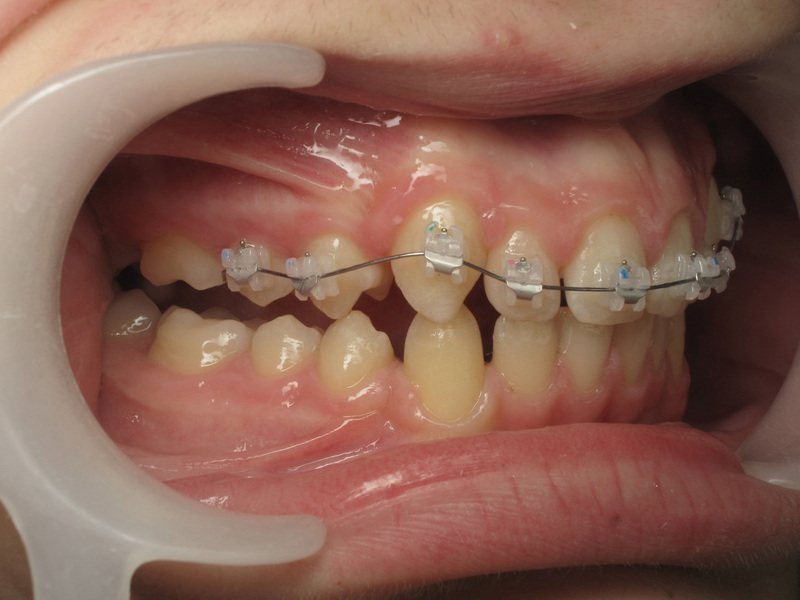 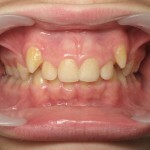 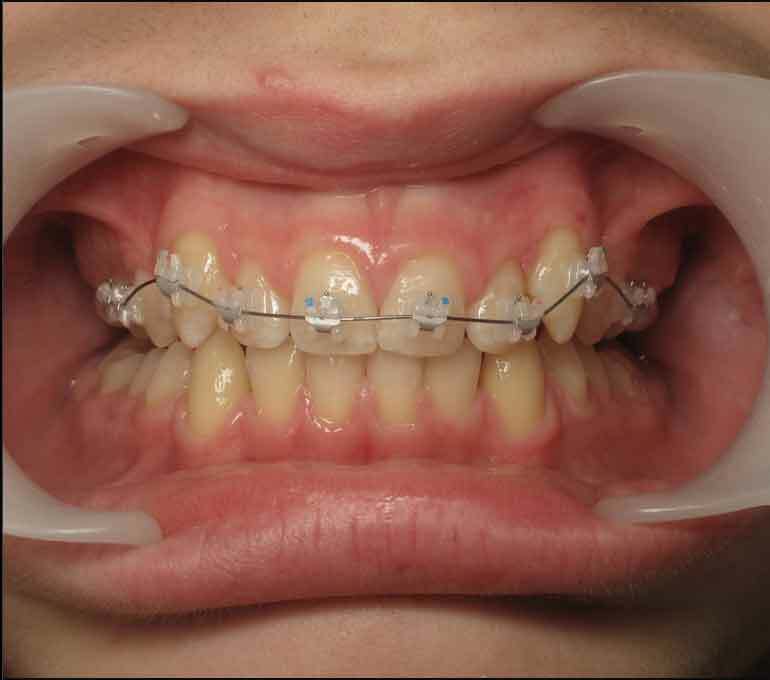 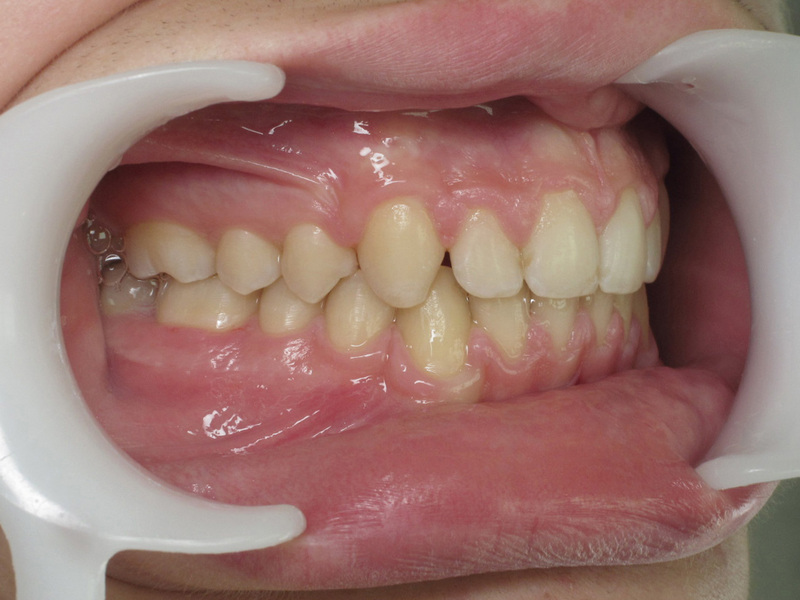 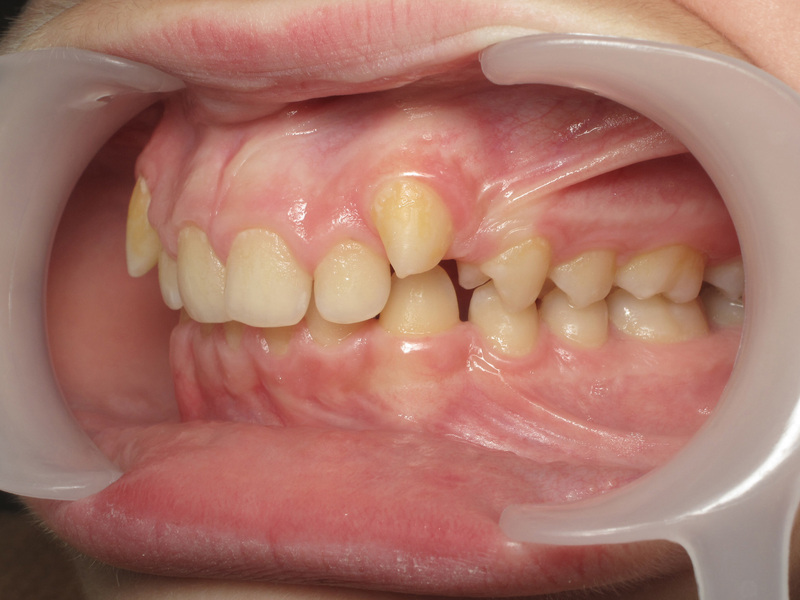 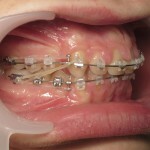 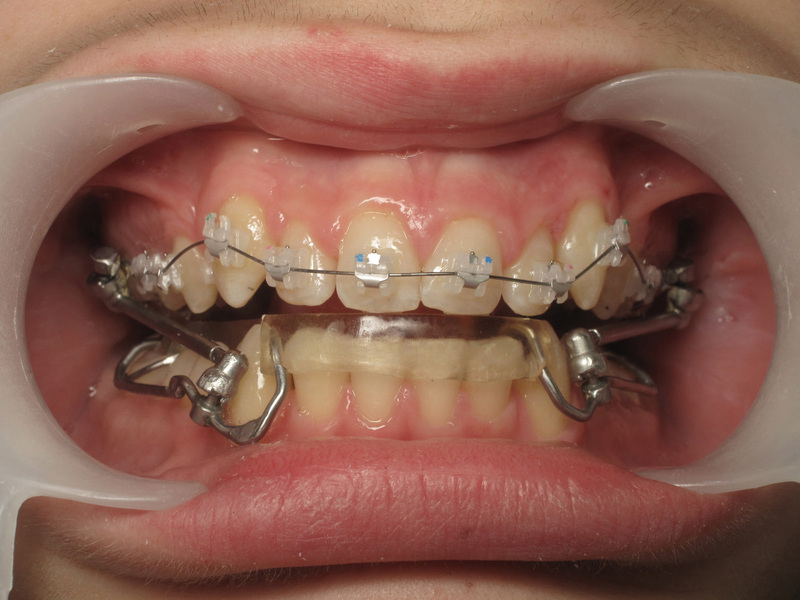 Final phase of multibracket treatment. 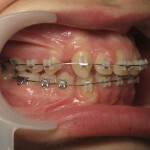 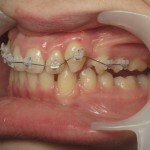 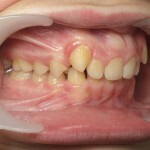 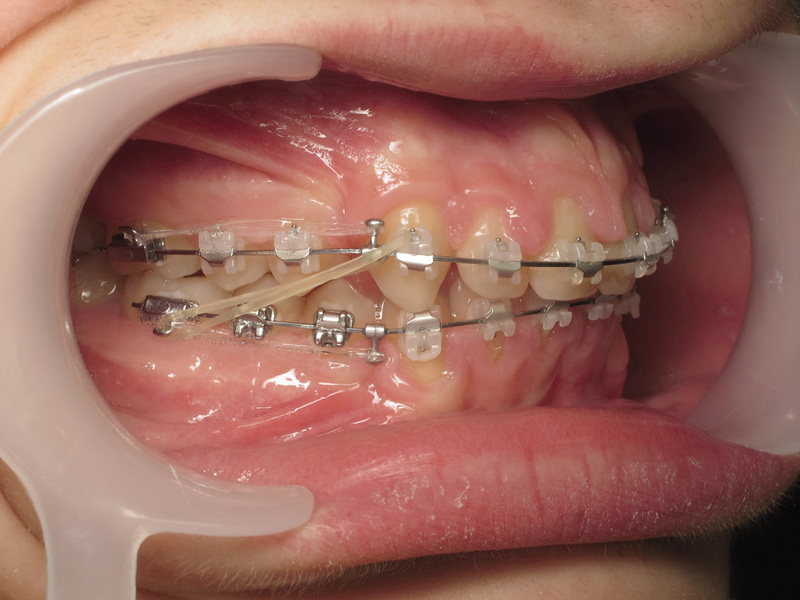 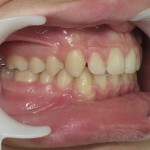 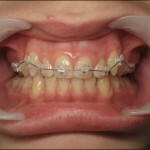 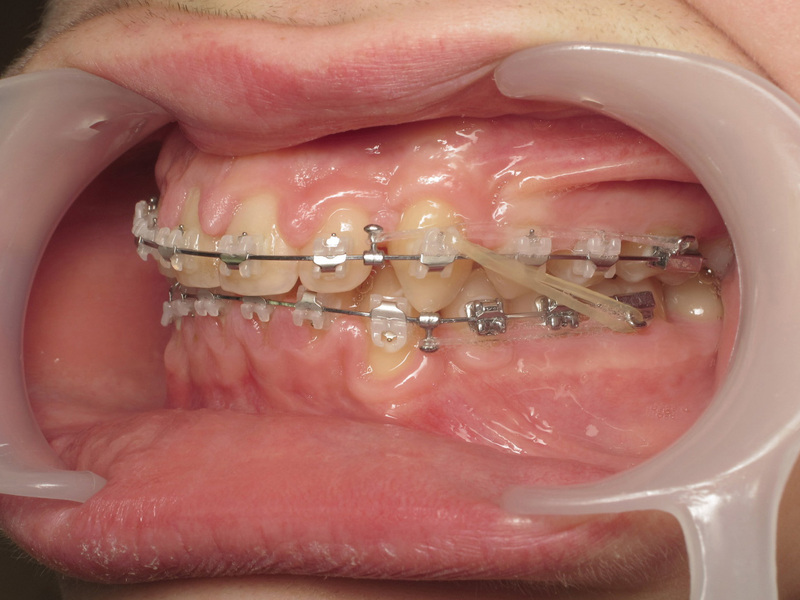 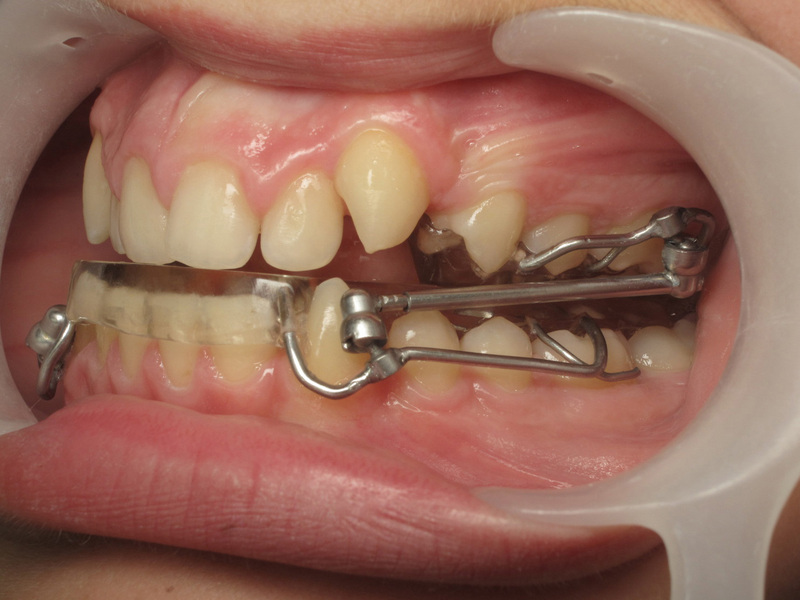 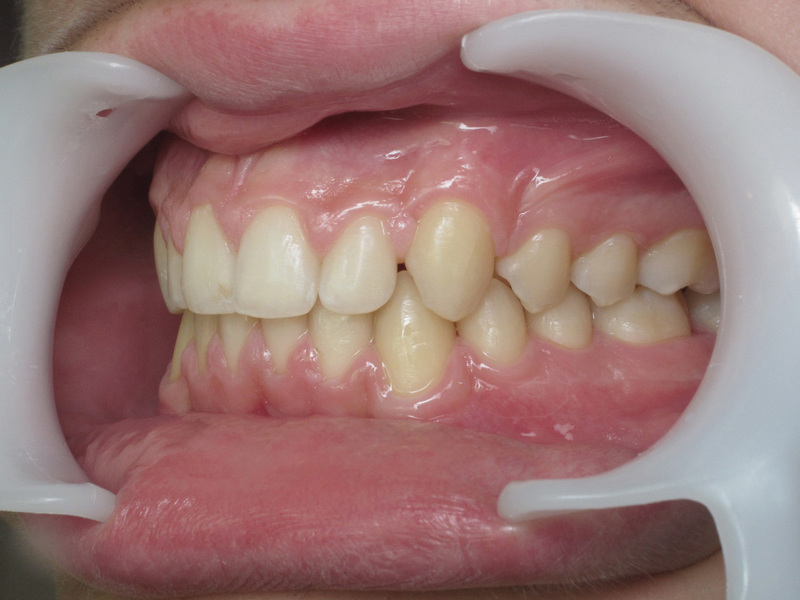 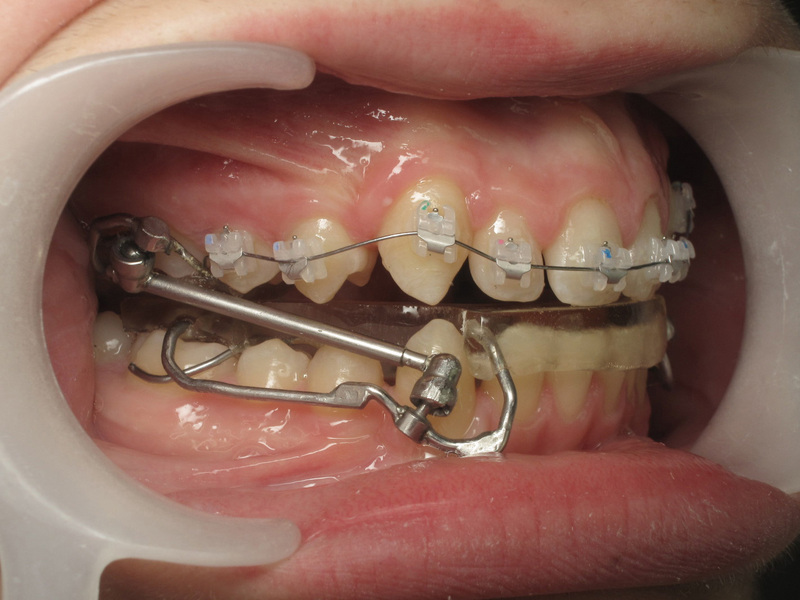 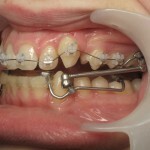 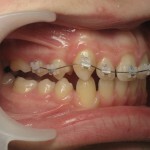 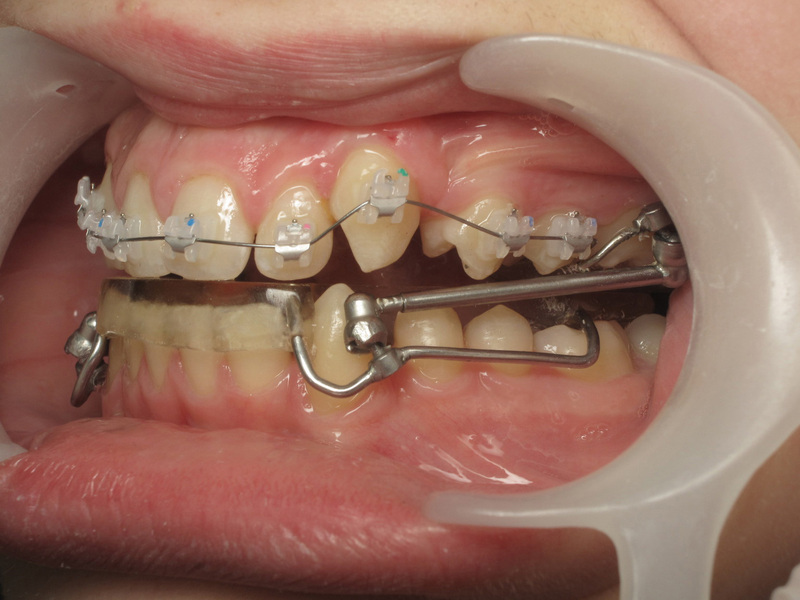 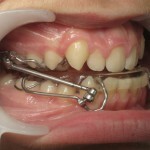 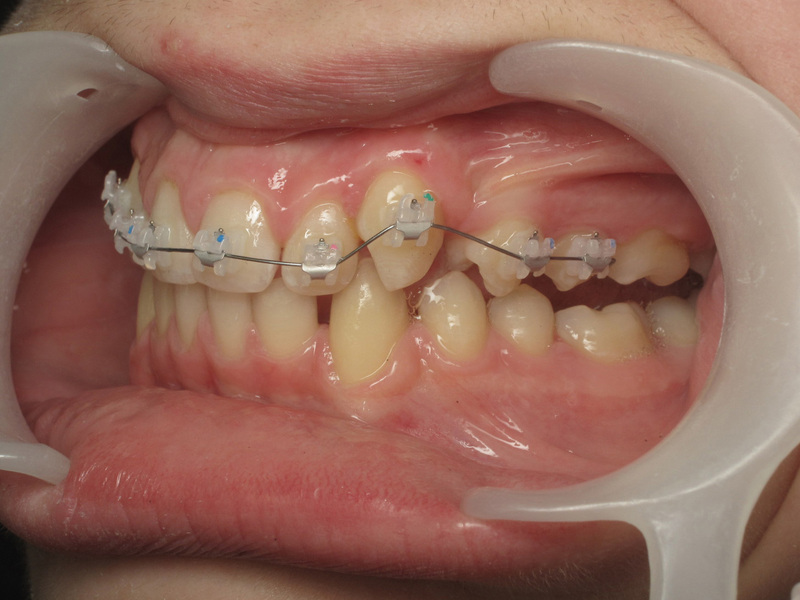 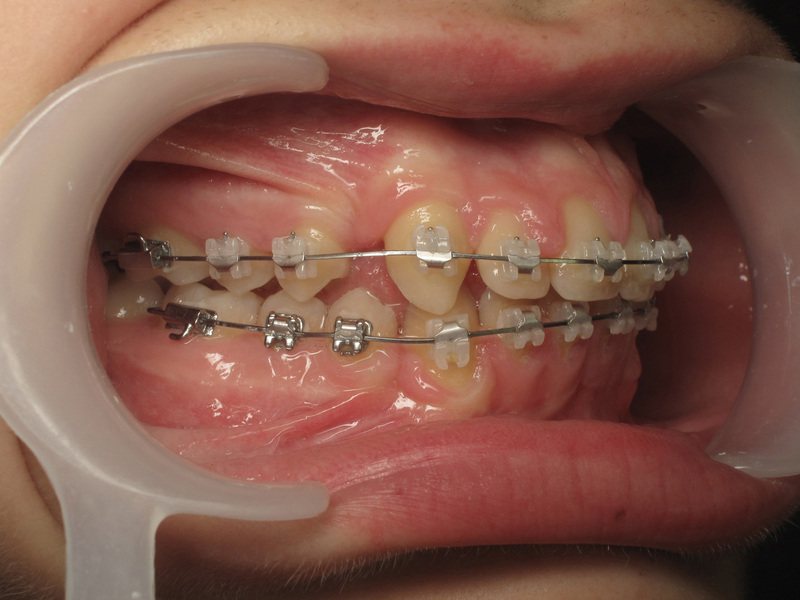 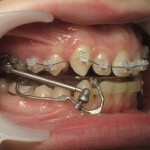 Finetuning of the occlusion using intermaxillary elastics. 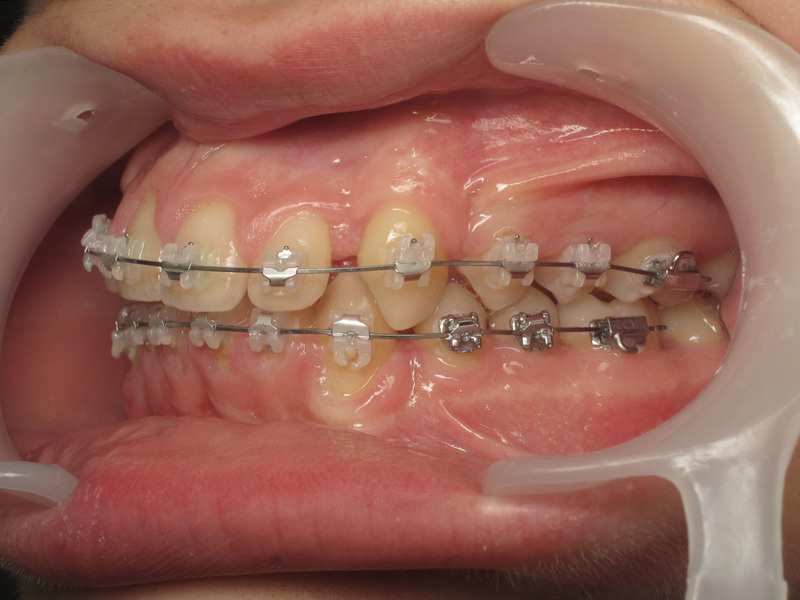 Closure of the residual spaces with elastomeric modules. 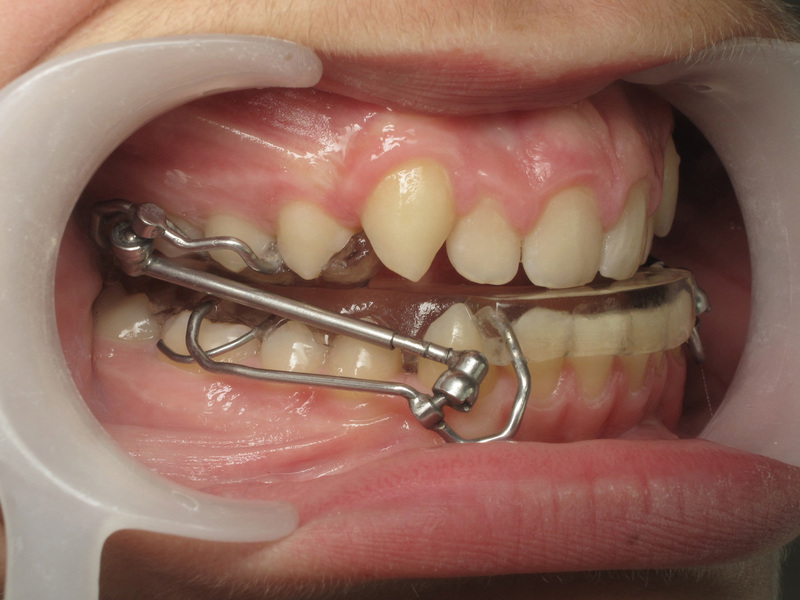 End-of-treatment occlusion. 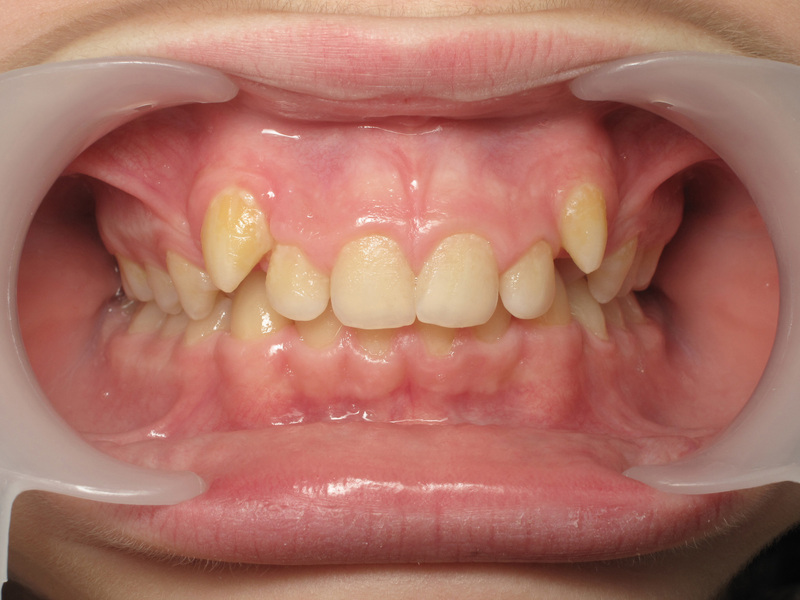 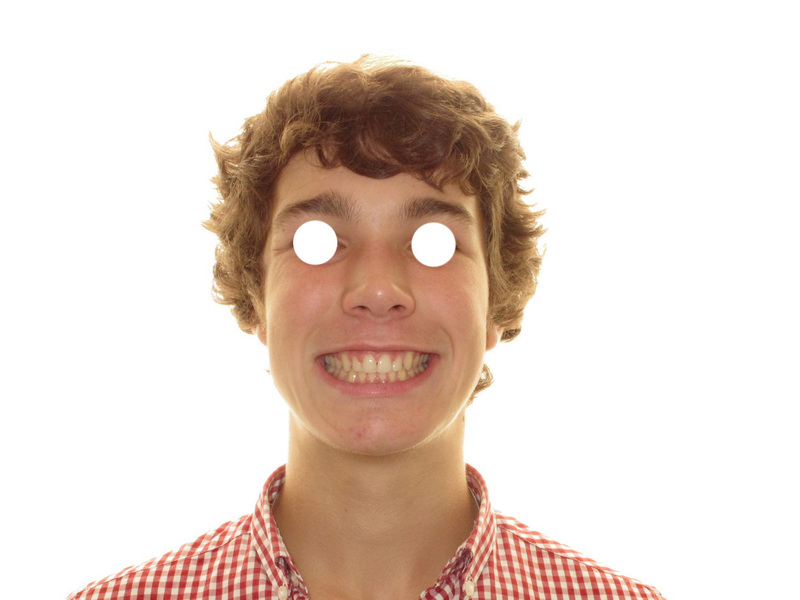 Treatment duration: 22 months. 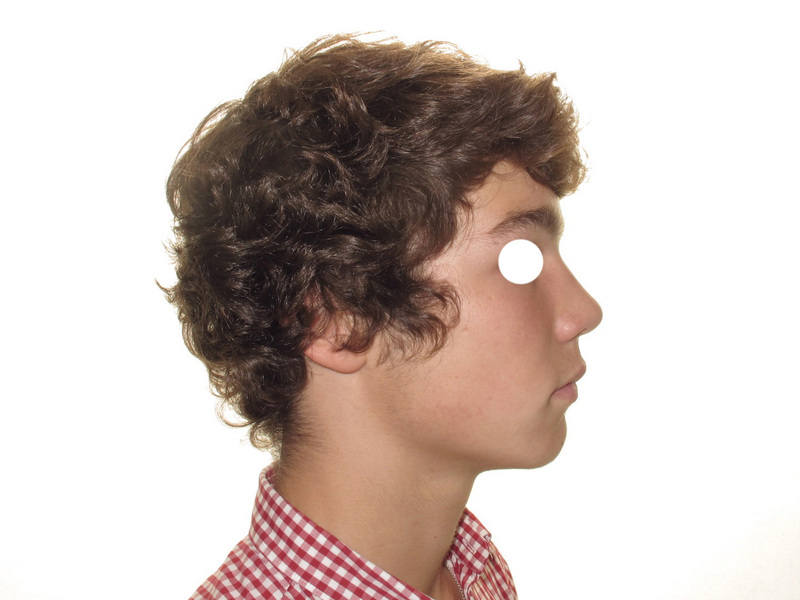 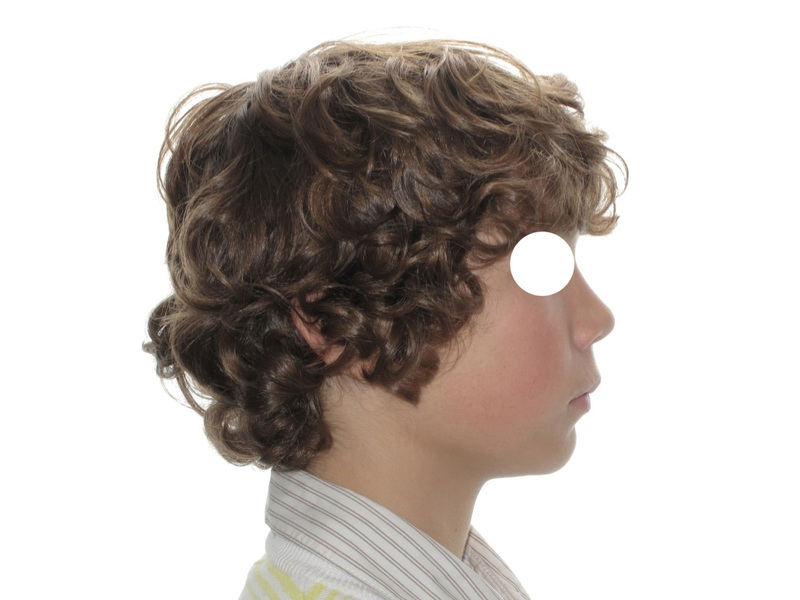 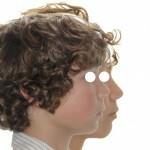 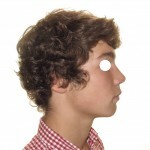 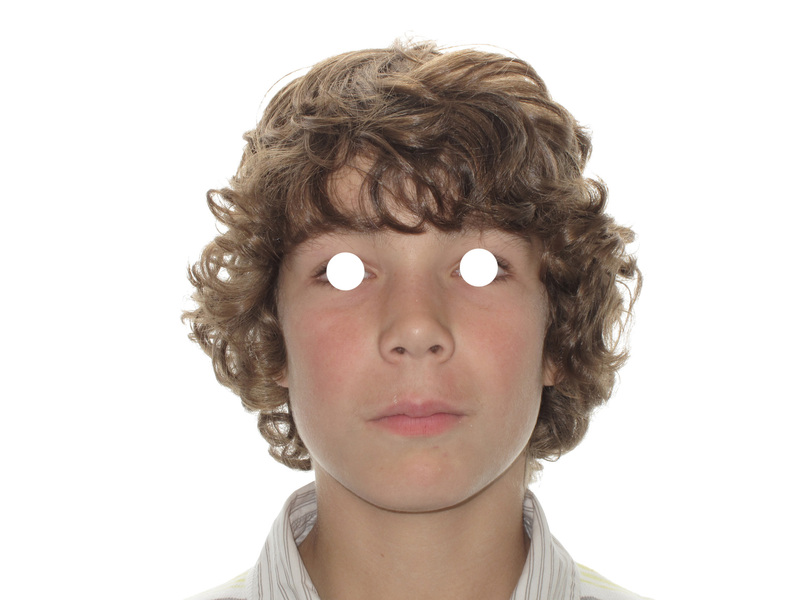 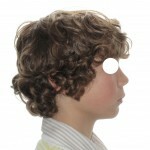 Superimposition of the soft tissue profiles at beginning and end of treatment. 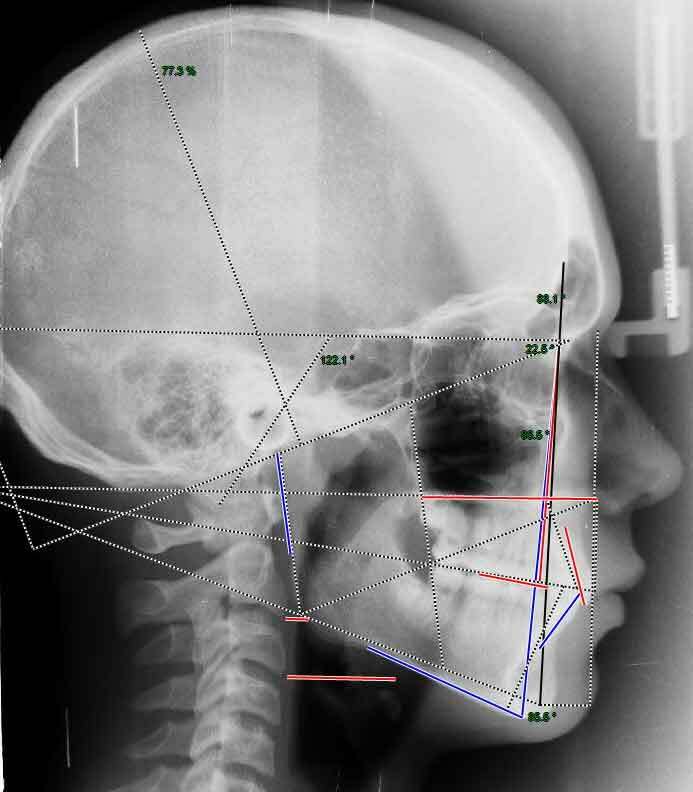 End-of-treatment skeletal balance. The skeletal Class I is almost perfect. 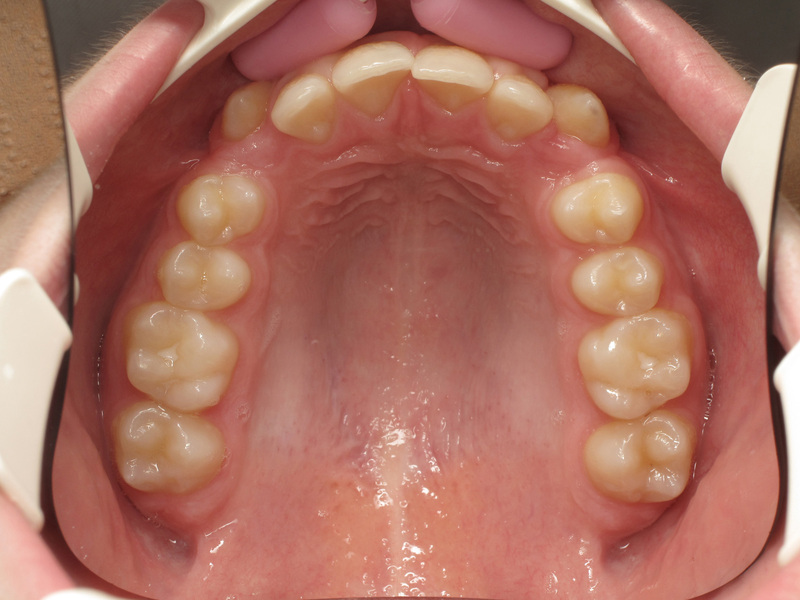 Some mandibular protrusion subsists. 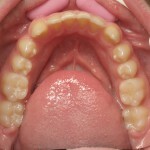 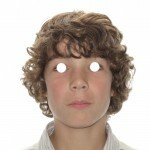 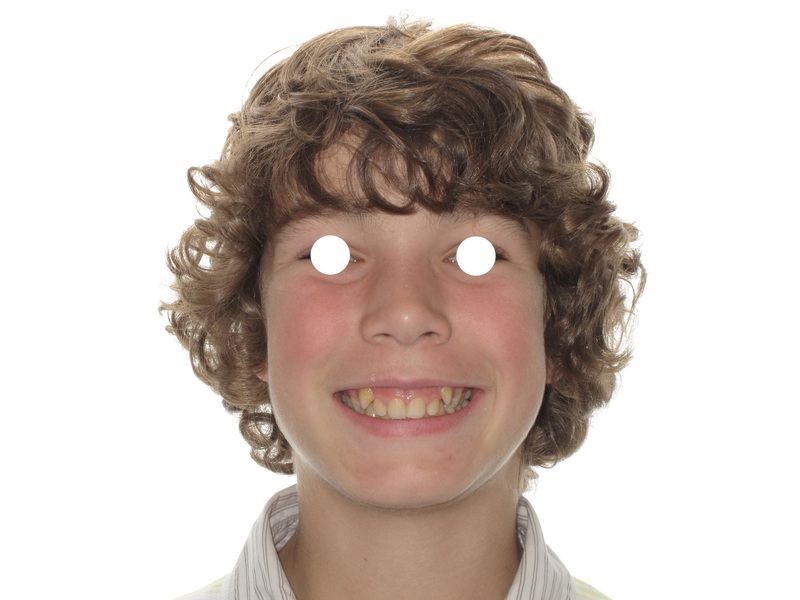 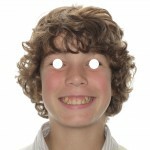 The axis of the maxillary incisors is sub-normal. 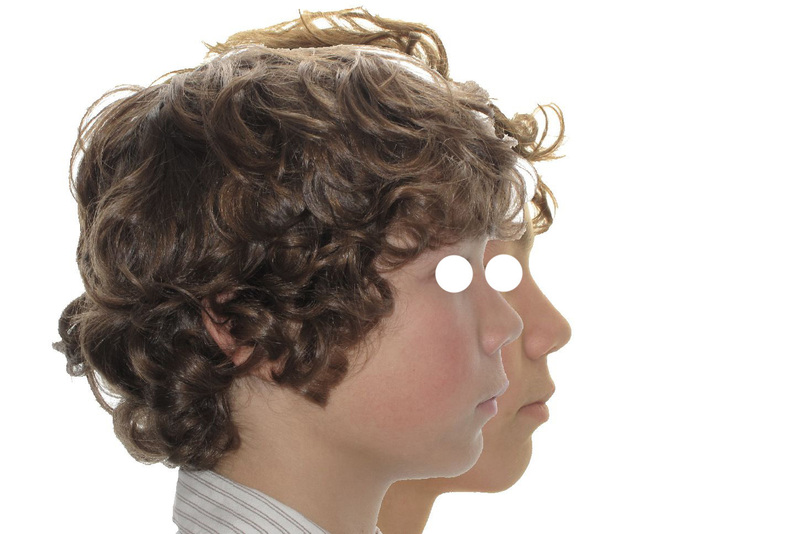 Overall superimposition. Mandibular response has been good. 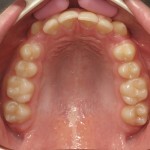 Dental superimpositions. 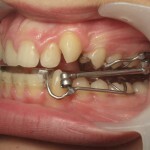 No loss of control of the mandibular incisors. 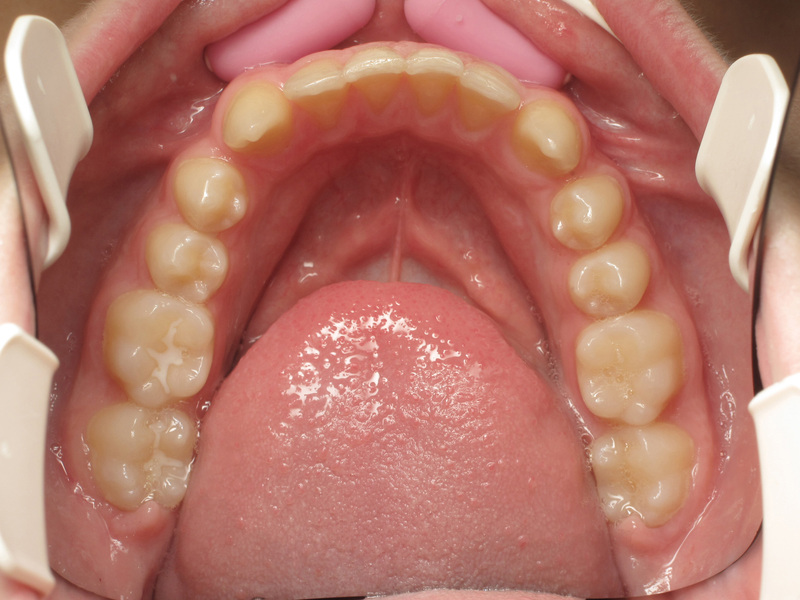 The maxillary incisors have been given palatal root torque.